For businesses that prefer their phone system on premise, yet wish to leave the headaches behind, Semperon offers a hybrid of both premise-based and cloud-based systems. It’s Semperon’s Managed PBX Services Solutions. 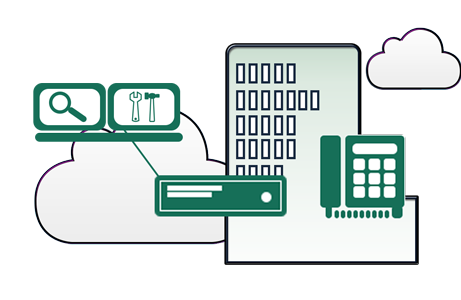 With a managed phone system, dedicated equipment is installed at your site or sites, and is seamlessly integrated with your existing infrastructure and network. 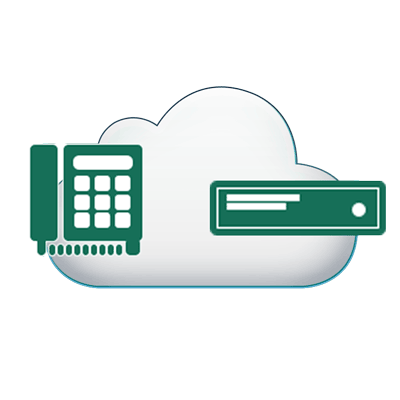 The pbx will then be remotely managed and maintained by us. It’s another worry-free solution and a win-win for many businesses. Your business desires the dedicated resource without the burden of support. You wish to utilize existing or other desired carrier services such as PRI, analog or private SIP. Specific integration required with 3rd party business applications. Remove all maintenance, warranty and support burden. Managed PBX Service is a private cloud telephony platform that is deployed on a premise or colocation facility – managed in the cloud; sold as a service, and billed by the month. Manage PBX Service blends the best of hosted and premise solutions to provide a unique mix of benefits for customers. The Managed PBX is delivered as a fully managed service with 24/7 monitoring and technical support. The PBX incorporates feature rich capabilities, enhanced call quality, ease of use, and seamless integration of mobile workforce – increasing productivity, simplifying processes, and enhancing presence. LimeVoice delivers the communication solutions a growing business can depend on without the hassle and costs of traditional systems.